I love facial masks. So much that I have at least two big drawers full of them and I use one at least every day. It comes as no surprise then that I would try out the mask of the future, the FOREO UFO Mini Smart Mask Treatment. 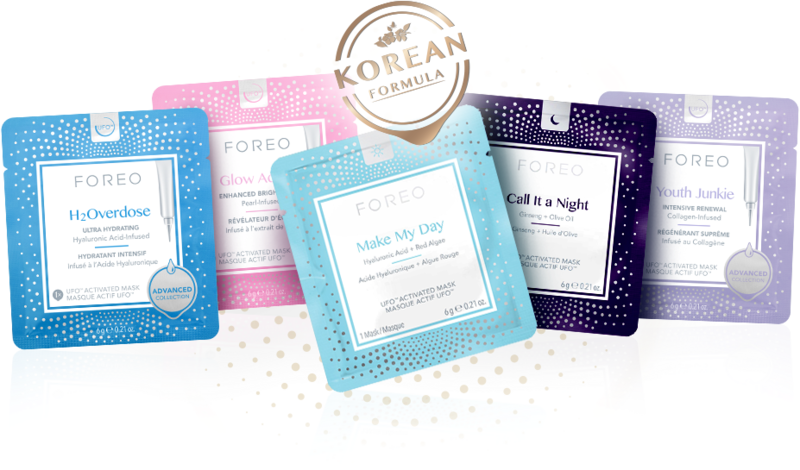 Traditional sheet masks have met their match, the new UFO Mini Smart Mask Treatment system revolutionizes your routine and completely transforms your complexion with UFO technology that takes your Korean skincare obsession to the next level. Do more than just mask. This is a wonderful device that gives you the world's first 90-second mask treatment that uses your skin's natural reactions to heat as well as signature warming technology and patented T-Sonic™ pulsations to ensure you get the most out of your favorite UFO activated mask, as they boost the absorption of active mask ingredients into the skin. Thus the skin has an extra boost of radiance, looking healthier than usual. Every UFO Mini Smart Mask Treatment feels like an indulgence. The thermo-therapy uses gentle heat to relax and revitalize while it infuses vital mask ingredients into the deepest layers of the skin for maximum effectiveness in minimum time. LED Light Therapy helps light the way to skin you will love. This device uses the same UV-free red, blue and green LED light found in spa photofacial treatments, just in a fast and easy device for at home use. It comes in three shades: light pearl pink, fuchsia and mint. I have it in mint. It comes in three parts: the actual device, the outer ring to hold the mask and the holder for drying. It has a counterpart called the FOREO UFO Smart Mask Treatment that actually costs $279 and also has cryotechnology as a part of its mask process. However, the UFO Mini doesn't have that as part of its system. The device is safe and effective for all skin types, even those with photosensitivity. UFO Mini is made with ultra-hygienic silicone that’s soft to the touch and is USB-rechargeable, lightweight, and portable, so you can treat yourself to the full experience anywhere. The UFO Mini Smart Mask Treatment device is 100% waterproof design and is easy to clean between uses, the included stand keeps your UFO Mini where it belongs - on display. A smart skincare investment, every UFO Mini comes with a 10-Year Quality Guarantee and 2-Year Limited Warranty. To use: first download the FOREO app for iPhone or Android. Then this is the tricky part and the one that I had trouble doing and had to contact customer service. It says to register the product you have to use the scratch card that comes with it, but the UFO Mini doesn't come with one. Register it online or through the app. Then, when you want to use a mask, turn on the app and then press the on button on the device for 5 seconds. It will ask if you want to use a day mask or a night mask. Then, scan the barcode on the back of the mask you want to use. It will automatically register the mask in your FOREO UFO Mini Smart Mask Treatment. Apply the mask to the device and close it with the ring. Then start the treatment by pressing start on the app and move the device along the face as pictured in the app. After 90 seconds is up you will be asked to remove the device and the mask then throw out the mask. Rinse out the device carefully, make sure not to get water in the charging hole (I cover it with my finger) and clean inside very good too. Then clean out extra water with a cloth and let dry. There are several mask formulas that will work in conjunction with the UFO Mini Smart Mask Treatment. I have tried four of them. They are: Make My Day (the device comes with 1 treatment of this mask), Youth Junkie, H2Overdose, Glow Addict and Call It A Night. My favorite mask is Glow Addict, which leaves skin glowing and looking positively beautiful. The routines are optimized by skincare experts for each UFO Activated Mask formula, so all you have to do is enjoy. Korean mask formulas have been developed by the same beauty experts who pioneered the original sheet mask concept. All of the masks range in price from $9.99 per box to $19.99 per box. Make My Day is a hydrating & anti-pollution mask with hyaluronic acid and red algae. Glow Addict is an enhanced brightening mask that is pearl infused. Youth Junkie is and intensive renewal mask with collagen infusion. Call It A Night is a revitalizing & nourishing mask with ginseng and olive oil. Although I have not tried it, H2Overdose is an ultra hydrating mask with hyaluronic acid. So, what do I think? Honestly, had I realized that the difference was going to be the cryotherapy I would have spent the extra hundred dollars and purchased the regular FOREO UFO Smart Mask Treatment. I think it's important for all of the masks to work as properly as possible and in the more expensive one you get the full treatment. Also, I think the registration would have been easier. As it was, I had to call someone and speake to them on the phone as well as email and discuss the problem. I do love the masks though. They are phenomenal. They leave the skin in great condition. 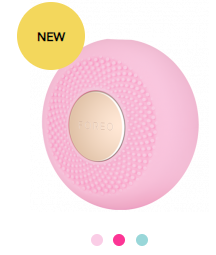 FOREO UFO Mini Smart Mask Treatment retails for $179.00 and is available online at www.foreo.com. 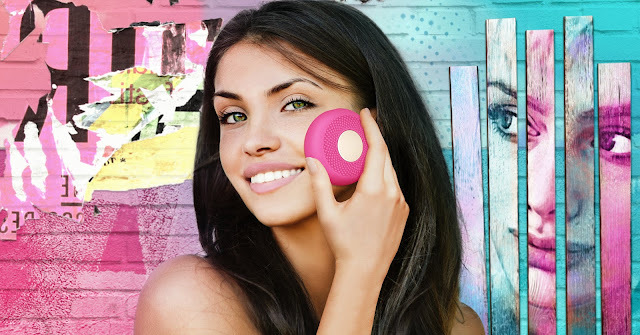 Like FOREO on Facebook: https://www.facebook.com/FOREO; Follow FOREO on Twitter: @FOREO; Follow FOREO on Pinterest: https://www.pinterest.com/FOREO/; Follow FOREO on Instagram: https://instagram.com/foreo/; Follow FOREO on Google+: https://plus.google.com/+FOREO and Subscribe to FOREO on YouTube: https://www.youtube.com/c/FOREO.